Since their first performance three years ago, Elysian Fields, Australia’s only electric viola da gamba band, has carved out a growing reputation for performances that blur the boundaries between jazz, chamber music and world music. 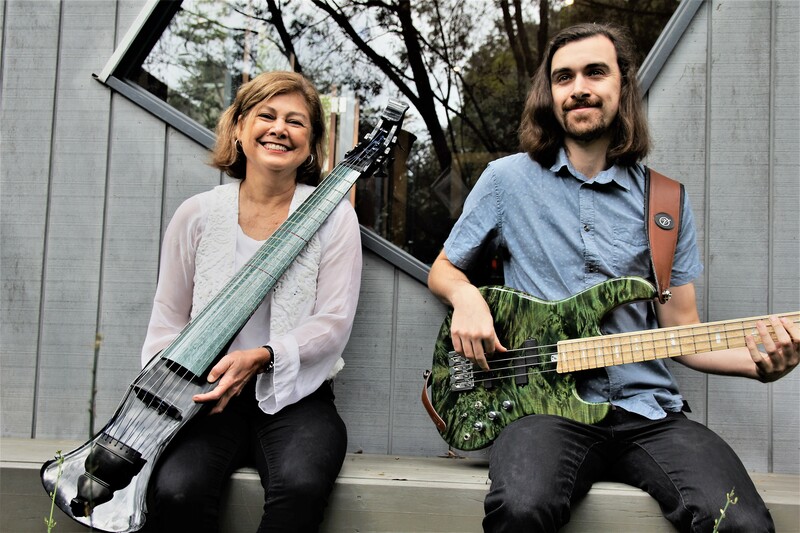 On May 24 Elysian Fields will launch their Scandinavian Project which features Scandinavian jazz and folk songs alongside new music inspired by the Nordic World. 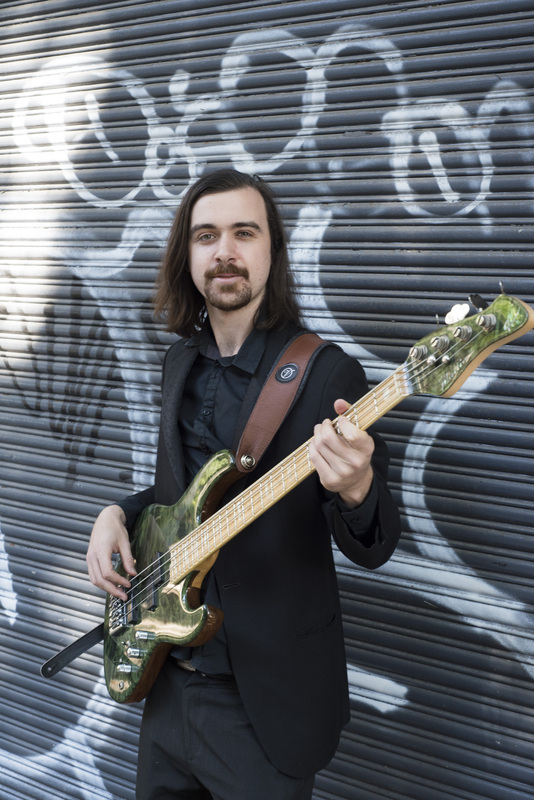 In this interview Siebe Pogson, one of Sydney’s up and coming electric bassists, talks about his new piece, The Tragedy, The Journey and The Destination that will receive its world premiere at the launch of the Scandinavian Project on May 24. Siebe, do you have a connection to Scandinavia? Yes, my great grandfather, who died before I was born, was from Sweden and immigrated to Australia in the 1920s. He met my great grand-mother in Melbourne. A member of the Swedish side of the family kept contact with those in Australia and my parents eventually met them in the 80s whilst travelling through Europe. Since then, I have caught up with some of my relatives who are second and third cousins when they’ve come to Australia and again when I’ve gone to Sweden. Although the blood relationship is distant, I still felt a strong bond with these people. The same can be said of the geographical distance between Australia and Sweden. They’re miles away but when I finally got to Sweden, I instantly was at home in the country and began to think about my heritage in a way that I never had before. Is it true you composed some of The Tragedy, The Journey and The Destination while living in New Orleans? Yes. The seeds and ideas had been planted before I left Australia, but I composed at least two thirds of the work over there 4-5 months ago. I was in New Orleans for a month to practice, compose and listen to live music. I rented the cheapest apartment I could find. It was hardly furnished so there were no distractions. It was an ideal place to do this kind of thing. Inspiration was everywhere and being in my favourite place in the world put me in a good mood to work. Please describe the structure or movements and instrumentation. There are three movements titled: ‘The Tragedy, The Journey and The Destination.’ It’s essentially a love story that goes wrong at no fault of the lovers themselves, just through poor circumstances life throws at them (The Tragedy). The couple then spend some time apart to work through how they’re feeling (The Journey), and eventually they arrive at a place within themselves where they can finally be together (The Destination). The instruments are electric gamba, electric bass, piano, tenor and soprano saxophone, violin and voice. The first and third movement have voice and the second movement is purely instrumental with violin instead of voice. Susie Bishop sings and plays violin so it’s great as a composer to make use of all her talents. The lyrics don’t convey exactly what happened as I’d like to leave that to the imagination of the listener. I haven’t quite decided either! Can you relate what was in your mind when you were writing the piece? I generally don’t compose to express what I’m thinking or feeling at the time. For me, it’s a process. I start with some ideas and begin to play around with them. When I was commissioned to do this piece, I knew who I was working with and what instruments I had available so then I start to think how to best use their talents to construct a work of art. It was not until near the end when I began to see and hear what the piece could actually be about. Early in the process, before I went to New Orleans, I studied Matt McMahon and Matt Keegan’s pieces for the electric gamba as a frame of reference. I have not written a such large-scale work before and their compositions are the only major ones that exist for this ensemble. People may hear inspiration from them, but I believe I have written something completely different. What other projects do you have on at the moment? I run my own jazz-funk band, Funk Engine, and we continue to play around Sydney regularly. We are at Venue 505 again as part of VIVID. We are doing a collection of songs by the American funk band Lettuce. For that gig soul singer Pat Powell and an expanded line-up will join us. We released our second album last year and I have written music for a third, so I plan to record that material later on. I am also in a heavy metal band Vanquished Kingdom who are recording their debut album at the moment and a rock band with a four-piece horn section called The Domestics who will also be going into the studio soon. I’m sure other bits and bobs will come up, but I’ve got a lot on my plate for now.